Start making a coil in your hand. Each alternate strand is inverted. Continue making loops alternating over and under. Wrap the end around the coil several times. Pass a bight through the coil. Spread the bight out and bring it back down over the coil. Pull tight. Making the Coil: Start by leaving the end slightly longer than the coil - so it remains outside the coil to avoid tangles. 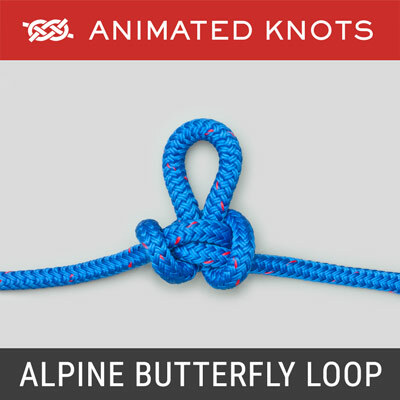 To make each turn form a neat loop, twist the rope slightly as you lay it in your hand. To avoid introducing multiple twists, however, twist alternate turns in opposite directions. These alternate turns lie "under" the line rather than "over" it, as shown in frame 5 of the animation. 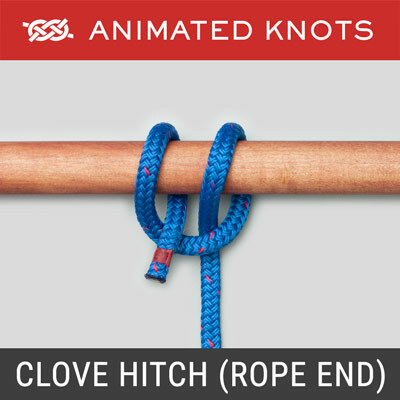 Alternating over and under turns avoids the accumulation of multiple twists in the rope. Finishing the Coil: The coil is finished by winding the rope tightly round the coil - with a finger (or your hand for large ropes) still inside the coil to maintain the lay of the turns. These turns start away from the end and work upwards towards your hand Finally, a bight is passed through the coil where your fingers were. The bight is spread out and tightened around the coil to preserve this lay until you need to use the rope. Note: The wrapping turns do introduce twists into the rope. However, because only a short end is involved these twists are easily shaken out. Using the Coil: After unwrapping, the coil should be laid on the ground with the end used to start the coil underneath; this end should have been "left outside the coil" at the beginning, and should remain undisturbed even if the rope is allowed to run out rapidly. The end used to wrap the coil should release without twists or tangles. 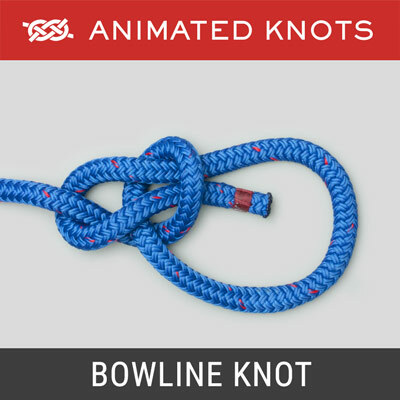 The reason that this method of uncoiling is important is that it has to be used to allow a halyard to run freely and practice makes perfect. 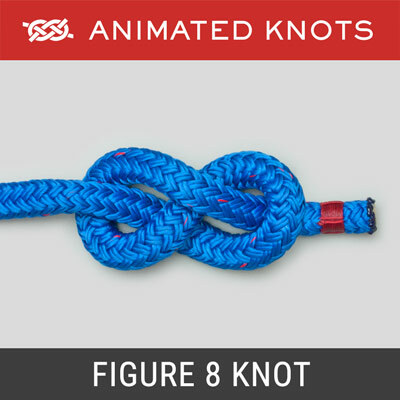 Figure 8 Coil: Another popular technique for avoiding twists and tangle is the Figure 8 Coil: no twist is put in the rope as you form each turn. Instead each turn is laid as a stack of overlapping Figure 8 turns. The coil is completed in the same way. The resulting coil is not as neat but maintains the rope ready for use and likely to run out with no tangles. Precautions: Avoid introducing twists by using either the Figure 8 Coil or the alternating over and under method shown in the animation. 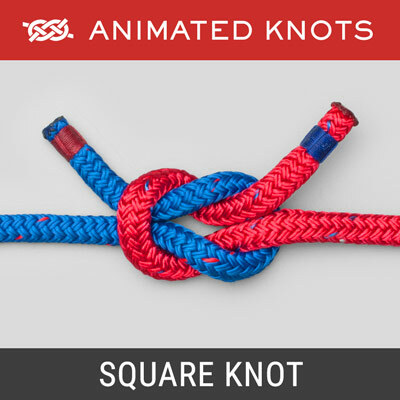 Closely observe any rope as it is paid out to ensure there are no kinks or knots. Butterfly Coil: The Butterfly Coil is made behind your neck so the weight is taken on your shoulders. 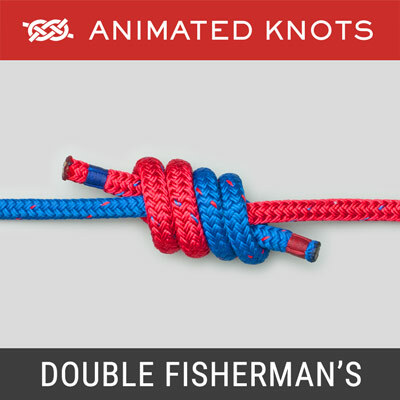 The Coil is made with the rope doubled. Starting from the mid point, the doubled rope is first laid loosely on the ground. Both ends are held in one hand – with about six feet (two meters) hanging free. The coil is formed behind your neck picking up the doubled rope first with one of your outstretched hands and then the other. The result is a large coil, made up of double strands laid in a Figure 8 pattern, hanging from your neck. The coil is then folded at the mid point - where it passed behind your neck. The ends are used to wrap the coil and then tucked through and over the coil as shown in Frames 17 to 21. The finished coil can then be carried by tying the two ends around your body. Mountaineer's Coil: After the coil has been made, the end is passed through the center of the coil several times to wrap the turns and keep the coil neat. Because this technique requires the end to pass through the coil several times, when undoing the coil it is critical to carefully undo these wraps to avoid a tangle.